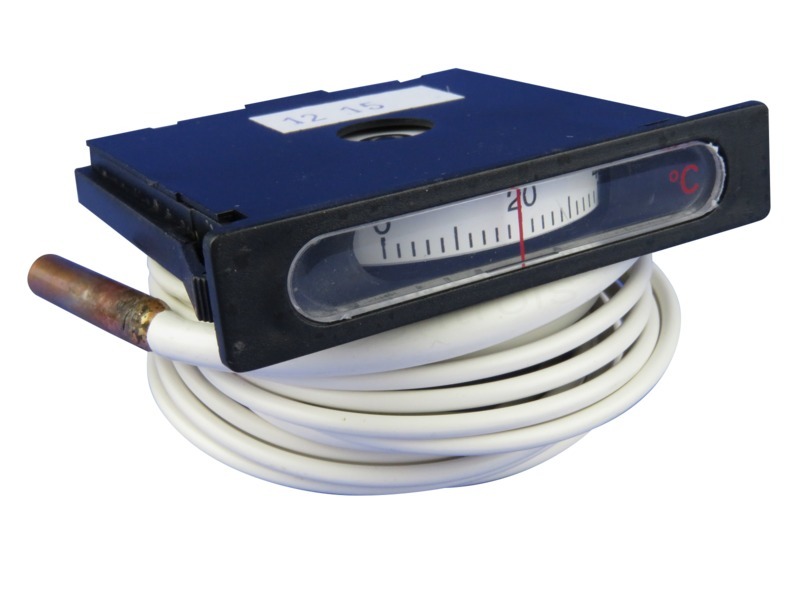 Thermometer 0-120C, 48 x 48mm, insulated capillary 2900mm, bulb ø 6 x 36mm, used in boilers and dishwater tanks, Zanussi part 048525. 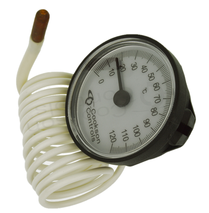 Thermometer 50-350C, 60mm ø black dial, metal body, protective copper braiding over capillary 1500mm, bulb ø 4 x 104mm, used in convection ovens. 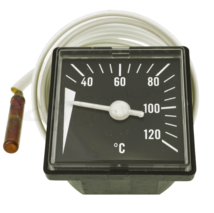 Thermometer -40 to +40C, 48 x 48mm, insulated capillary 1500mm, bulb ø 8.5 x 38mm. 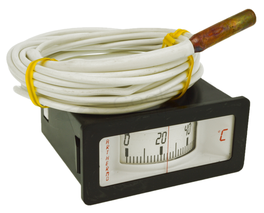 Thermometer 0-120C, 52mm ø dial, insulated capillary 1350mm, bulb ø 6 x 20mm. 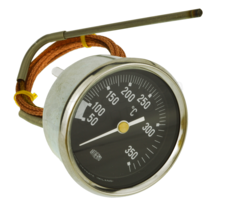 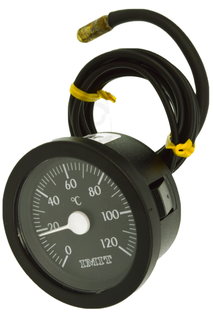 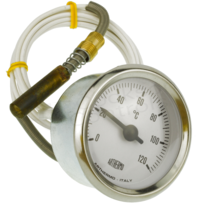 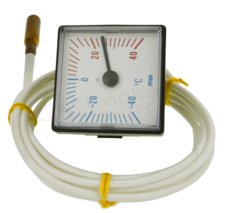 Thermometer 0-120C, 52mm ø dial, metal case, insulated capillary, 1500mm, bulb ø 8 x 32mm with M10 spring fitting. 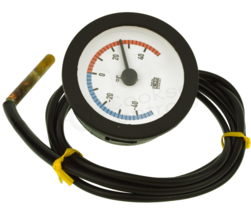 Thermometer 0-120C, 56 x 25mm, white scale and plastic body, insulated capillary 3000mm, bulb ø 6 x 20mm, Zanussi part 048544, Hobart part DETR1H, 926100.